The World-Dent Team are constantly encouraging other dentists to further hone and excel in the field of dental science today. Our Goal is to offer dental education at its highest level with cutting edge technology! 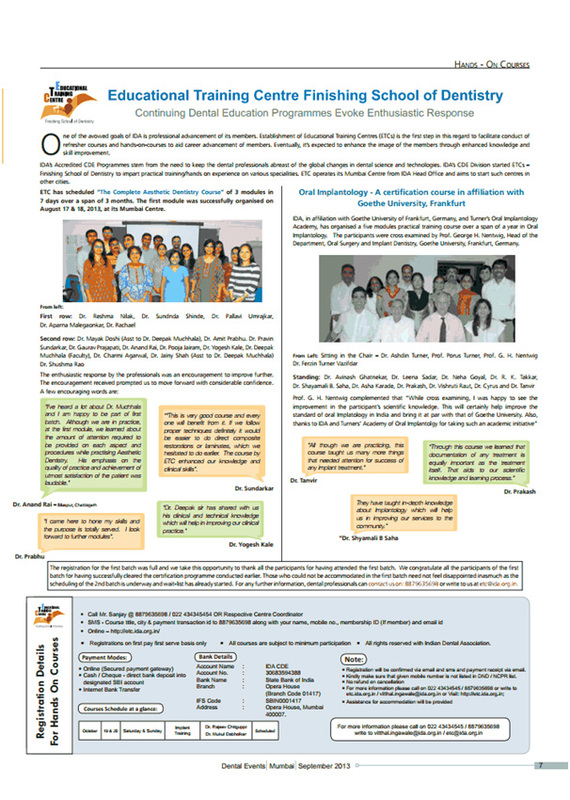 With their vast experience and keeping at par with the latest advances in the world of dentistry they are constantly imparting their knowledge and expertise to other budding dental surgeons not only in India but also abroad.We, at World-Dent have dedicated our time to training other dentists in India as well as abroad in excelling in the field of dentistry. Each participant has its own work station and gets immediate and constant feedback, guidance from the world renowned faculty at Dr. Turners Dental Education Center. We have our own dedicated multimedia lecture hall in Mumbai with the audio-visual facilities to help the participants with better learning and understanding. With the advantage of the state of the art Dental Laboratory that works in tandem with the dental team, the courses get even more meaningful and lucid. We hold continuing education courses in the UAE every 3 months on the subject of PORCELAIN LAMINATE VENEERS.Many dentists today do veneers but the right technique for minimal preparation of teeth and the principles of bonding is what tends to the longevity and success of the VENEERS. The Turners have developed their own brand of Veneers called SLIMEERS which are ultra thin veneers that entail minimal to no reduction of teeth.The technique for the Slimeers is better explained and highlighted in their courses. 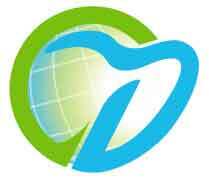 The field of Implant Dentistry is growing very rapidly and Senior implantologist Prof.Dr. 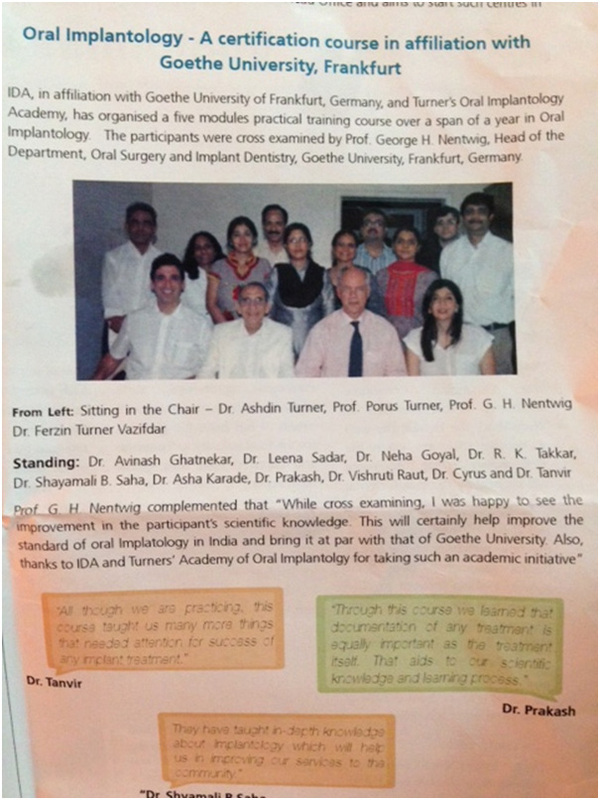 Porus Turner with his huge plethora of knowledge selflessly immerses himself in conducting Dental Implant courses for the early beginners as well as advanced courses for the participants who have placed implants before. Right from simple implant placement to bone grafting and immediate extraction of teeth and immediate implant placement of the implants, the participants can interact freely with the entire teaching faculty and elucidate all their queries.